February’s Hat Attack features a vintage Norma Kamali baby leopard print toque with matching gauntlets. These pieces were “seized” from my hat shop in the 1980’s and they traveled with me on my recent trip to Sedona. I decided that they needed to be focused upon more fully after I fell in love with them once again. They hadn’t been on an outing for years and are now having a revival! I love hats that are “shape changers” and can present as different personalities on a whim. This Norma Kamali beauty transforms from toque to beret at the drop of a chapeau! 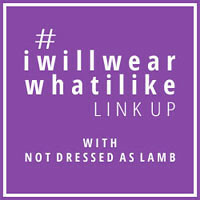 Linking up with Patti’s Visible Monday HERE, Catherine’s #iwillwearwhatilike HERE, and Cherie’s Shoe and Tell HERE. Please display your hat, headwrap, headscarf, headpiece, fascinator, hair flower, headband or other adornment for your head that you adore, give The SC a FEBRUARY HAT ATTACK and kindly link to Style Crone somewhere in your post. Can’t wait to see the beautiful contributions that you share throughout the next week. Participation will be open through Sunday, February 7th. This hat and gloves definitely belongs in your wardrobe. It needed to make it’s presence on you. What beautiful pictures! fabulous, fabulous! You keep “topping” yourself! And the matching gauntlets – I am thankful for the beauty you bring to us, Judith – these photos are just beautiful! I remember this from IG. I always appreciated Norma Kamali and this one is just glorious. Now this set is something I would love to have. It is so chic and high hats are good on my head. Mind you, you have a classic face and short hair… I have… a different face (haha) and longer hair. But if I had seen the hat in a shop I would have certainly tried it on. Together with those gauntlets, the set is striking. And I also adore your jacket. Big love again from my side. I just haven’t got a hat to participate in the Hat Attack. Another dramatic, flattering, and inspirational styling; a real “wow”!! Adorable hat. I love pieces that can be worn in different ways! I LOVE BOTH PIECES ESPECIALLY THE HAT!!!!!!!!!!!!! By the time I get to commenting, everyone else has pretty much covered the bases. Judith, you are like a piece of really good chocolate in my life. Your posts make me smile (and sometimes think.) So appreciative that I stumbled on your blog some years ago. That’s brilliant the way your hat transforms from towering crown to oo-la-la beret. And you look stunning in each style, especially with that tailored suit and gauntlets. Thanks for hosting again. I’ve started playing with hats more from your example and all the gorgeous women here. I,m with everyone else on this Judith this is one striking hat on you. I always appreciate a hat that can be shaped in different ways. The matching gauntlets are just the icing on the cake, perfect with that stylish jacket. Thank you so much for hosting an continuing to inspire. Judith, you just don’t see gauntlets being worn enough (if ever) now days. I so wished they would bring them back around, I simply adore them. Your entire assemble is breathtaking. I seriously didn’t know they even made hats that were “shape changers”, how magnificent is this? Now I know what is on my bucket list of vintage hats. I have to say I love the way you are able to change the shape of the hat. It is magical. Oh my dear! You look absolutely amazing in your Norma Kamali! Boy do you wear it with such stylish panache!! I LOVE the suit!!! So very elegant with a feminine flare. Glamorous suit and of course fabulous hat = love it tall and toque-y and short and beret-y! Thank you for inspiring and causing us all to wear more hats! oh my goodness, I just realized I had something on my head! So here I am to join in finally. Wow, what an amazing hat you have on. Not that you would have any that are short of amazing. But this one does transformations too. Magic. You are truly an inspiration, keep up the good work! So tiny in your little slim elegant waist! The gauntlets flare out so magically like the hat. I hope you like my offering this time. You put together the best looks Judith. I would love to see your hat collection. Have you ever done a post on that? You are truly unique!! What a lovely hat, Judith. And yes, what a great shape changer it is. My yellow hat does that but I do love the print on yours. And the jacket – it’s divine! It’s altogether a stunning outfit. What a fantastic hat & you look glorious, Judith.